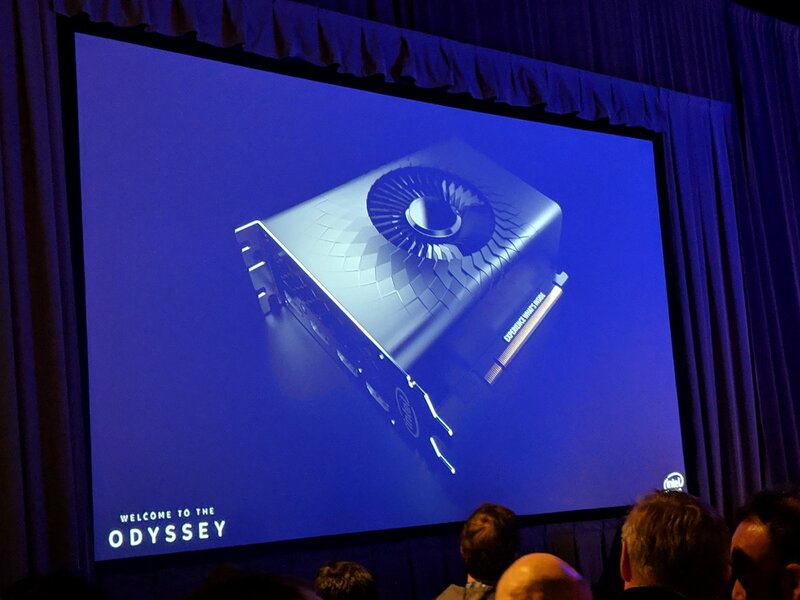 During the GDC 2019 Intel also had time to showcased the first official concept design of its first family of graphics cards for desktops known as Intel Xe. This design is quite inspired by the one created by Cristiano Siqueira, and that’s why the designer followed by several people in charge of Intel has even been invited to this GDC. 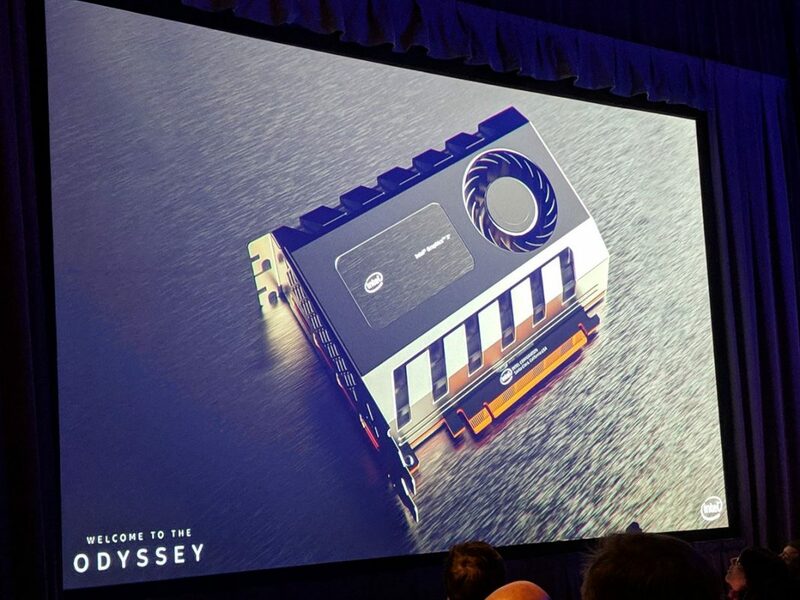 From concept design we can see that the graphics card is compact size with a blower fan. 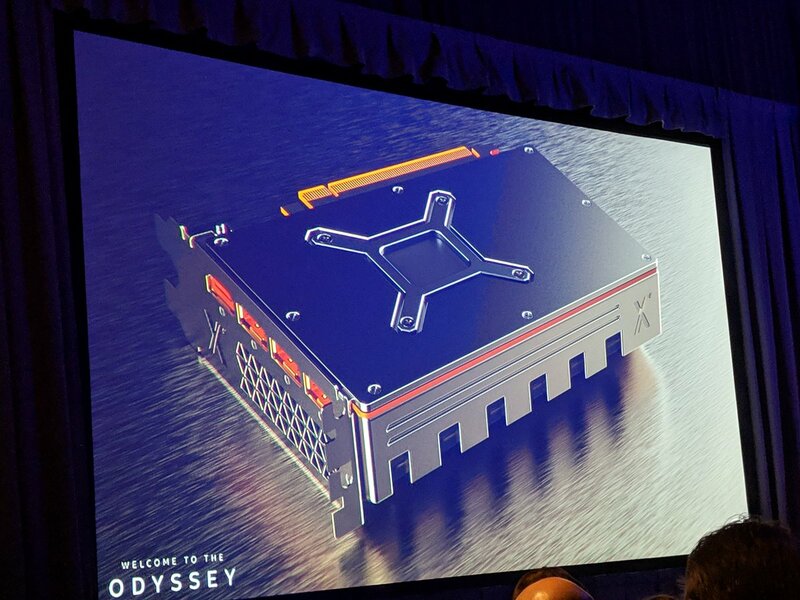 The design of this Intel Graphics Xe is also inspired by the latest Intel Optane PCIe SSD design, but the most interesting thing is when a Mini-ITX graphics card is shown with a fan in the center (which appears to be aluminum to maximize cooling) that already indicates that we are facing a mid-range GPU, although unfortunately, it is still too early to talk about possible specifications or performance, because Intel’s first graphics card, codenamed Xe, won’t be gracing our PCs, at least until the year 2020.